I drove with friends Dave and Tim to Seattle Saturday. The topic of much of conversation in the hour ride was inevitably the Mariners. We’ve been baseball buddies for more than three decades, taken in games together, watched World Series together. We don’t all love the same teams: Tim is a Yankees/Cubs fan, Dave loves his Giants, and I follow the hometown M’s, though the others have a mild attachment to them as well. We followed the off-season news with interest, and as the Hot Stove League melts into Spring Training, not surprisingly, we’ve shared our divergent views. It’s not that our opinions of the off-season moves are dissimilar. We agree the additional hitting in the heart of the order will help, and the real challenge will be assembling an effective pitching rotation from the pieces they’ve assembled. However, when the topic of when the Mariners may contend came up, our perspectives really separated. Tim was of a mind that the Mariners may never contend. They’ve made so many mistakes in the past, he lacked confidence the prospects in the pipeline were correctly evaluated, and that by a combination of poor assessment, injury and bad luck, the Mariners would simply never get the expected bump from their great farm system. Tim simply doesn’t believe the M’s current leadership, from Howard Lincoln, to Chuck Armstrong, to Jack Zdurencik are good enough, courageous enough, or committed enough to field a true contender in Safeco Field. Dave, a season ticket holder with the Rainiers, and the most cynical of the lot of us, suggested there was talent in the system and that the M’s could contend, but lacked faith the Mariners would spend the money needed to fill their organizational holes with productive free agents. When I raised the possibility of a new T.V. deal that would provide them a fresh infusion of cash, Dave guffawed and stated flat out the current management would just pocket the money. I, of course, am the most hopeful of the lot. I’m hopeful the M’s will make incremental improvement this year, that their rotation will be closer to adding members from the Gang of Four, if not this year then next year. I am hoping Mike Zunino will assume the catching mantle when he’s ready, and that the Nick Franklin and Stefan Romero will turn into useful parts. Though I don’t believe the M’s will contend this year, I hope they’ll get a taste of the race in 2014, and perhaps in 2015 become one of the AL West’s Big Boys. What’s remarkable about our discussion is that it neatly mirrors many of the same conversations I see in Mariners’ forums, or hear in casual conversations with casual M’s fans. Some fans are strictly in a win now or else mode. They see the Mariners as consistent losers, never even getting to the World Series in their glory days. How can they be expected to spend the big dollars to go to Safeco and support the team when it has finished in last place seven of the last nine years? If they like baseball, chances are they’re faux Yankees or Red Sox fans. These fans are so disaffected that nothing the M’s brass could do, short of a World Series appearance, can bring them back in the fold. The second group of fans is in the give me a consistent winner class. These fans are also profoundly unhappy. They may have started by hating Bill Bavasi and giving general manager Jack Zdurencik a chance, but it’s taken too long to rebuild, the M’s weren’t willing to spend on big name free agents like Prince Fielder or Josh Hamilton, and frankly contention for them seems a long way off. Besides, what budding superstars has Zdurencik developed? How can he be trusted? Where is our Stephen Strasburg or Bryce Harper. Where is our Mike Trout? He’s Chuck and Howie’s willing marionette. This group won’t be happy until the M’s join the Big Boys club and contend annually for the AL west title or a wild card slot. And win it sometimes too. Getting to the Big Dance would be also be nice. Many of these folks likely won’t attend games, but may watch occasionally on TV, at least as long as the team isn’t bad. After August 1st they’re looking at Seahawks training camp. The third group of fans is in the group that is patiently waiting. They see Zdurencik’s plan and generally approve. This is the group that wants to rebuild the M’s with good young players, and is willing to take the time to work through their struggles. They want to see what the M’s have, and are hopeful. They’re proud of the acknowledgement the M’s now have a solid farm system. They’re hopeful the kids will produce, and when it becomes clear what the Mariners have the front office will make smart free agent acquisitions to fill the holes. In the meantime, they’re willing to accept incremental improvement, but the day of contention must come soon. I count myself in this group. The last group is the loyal to the home town team group. I also see myself in this camp, but to a lesser degree. For these folks, it’s the M’s. They love baseball, and the M’s are the team that plays in Seattle. They may view the team’s progress with a critical eye, but they’re still loyal, either out of respect for the glory years, or because they’re the M’s. Why waste your time on the Cardinals or Tigers, my guys just play down the street. Maybe just as important, if they are like me, or they’re my age, they remember that terrible day in 1970 when the truck carrying the Seattle Pilots’ gear back to Sick Stadium took a right turn on I-90 and headed east to Milwaukee. Can’t take the risk the M’s become the Fargo Mounties. Actually, there is one final group. They wear green Sounders jerseys, or a blue Seahawks hoodie, maybe a kelly green Sonics jersey. They’re excited about the new arena and the idea the Kings might come to Seattle. If you ask them about the Mariners and baseball, they might respond, “They still play baseball in Seattle? How’s Griffey doing?” They might have been M’s fans once, but now they’re on some other bandwagon. They may have been fixtures at Safeco in 2001-2002 when the place was packed with 35-40K folks and would call their homies to tell them where they were, but they’d be gone by the fourth inning. Now they post to Facebook from Qwest Field and can’t quite remember who the ‘Hawks are playing. They are lost to the Mariners fanbase. Yes, I understand these portraits are broad and stereotyped, and there are those who probably fit more than one of these categories. Heck, by August 1st you can probably fit me in with the number two group. What is amazing is that with some exceptions, these folks that care enough about the M’s to post or hold an opinion aren’t stupid or ignorant. They read the box scores. Some are well versed in SABRmetrics, or at least know something about the Mariners and the players. Most have loved the M’s, many still do. But when asked about the team there’s a lot of head-shaking, a lot of shoulder shrugging or eye rolling. There isn’t a lot of nodding. What a large fraction of the fanbase is lacking is hope. They need to see a clear path to winning at least a part of the Big Enchilada. Because the M’s are still looking to see what the farm is producing and the team isn’t making great strides forward to join the Rangers, the Angels and now the improved A’s. 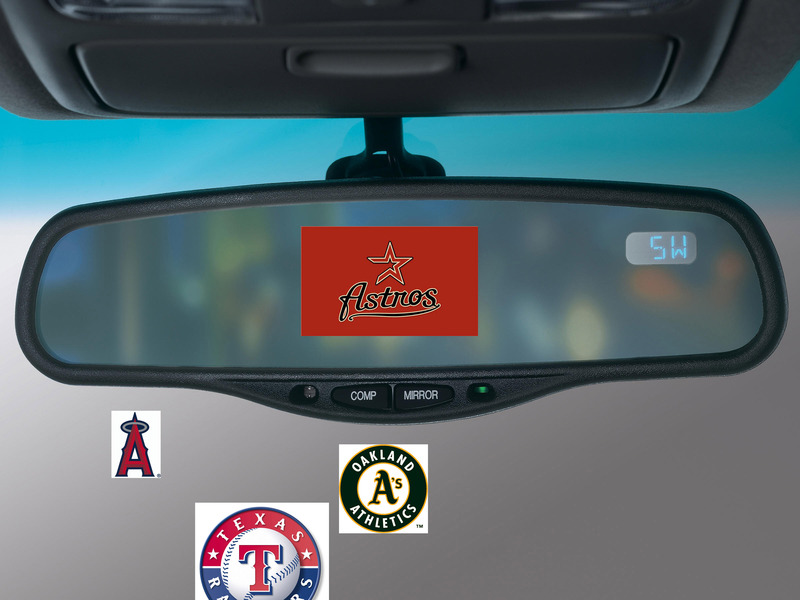 Fans look in their rearview mirror, see the Astros and hope they aren’t gaining on us. The Mariners could be the surprise team of the year: but I doubt it.